Since 2001, Melouse, who goes by MeMe, has been devoted to serving people with disabilities. After working for a local community human services agency for several years, she became a licensed bus driver and began driving school kids with special needs. But she wanted to do something more – she wanted to provide a home for someone and care for them as she would for family. 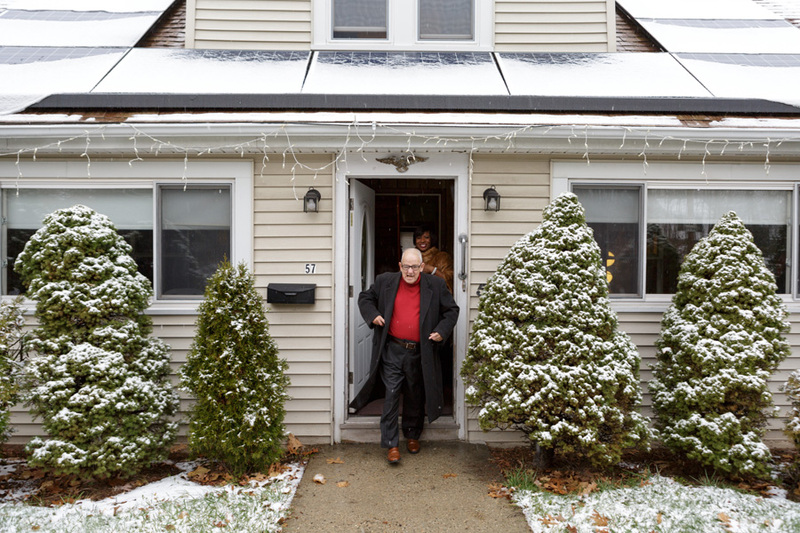 After being connected to Advocates through a friend, MeMe and her then husband opened their home to Richard through Advocates Shared Living program. Nearly six years later, MeMe and Richard can hardly believe how much their lives have changed for the better. Richard has lived with intellectual disabilities since he was a small child. When his parents passed away, he lived independently for some time and then in a group home, but he wasn’t happy there. Today, he and MeMe are constant companions – they go to the movies and attend parades and concerts in downtown Boston, he accompanies her to church activities and services, and they eat dinner together at home nearly every night, or dine out in the community. MeMe considers herself blessed, because she says she would have been very lonely after her divorce, if it wasn’t for Richard. And as a Shared Living caregiver, MeMe supports Richard in ways that “just a roommate” wouldn’t do: by helping him dress and take medication, taking him to doctors’ appointments, and helping him get a passport so he could travel around the world. MeMe’s brother has also received training to help support care for Richard, and the family receives regular visits from Advocates staff to check in and make sure everyone is happy and healthy. Richard couldn’t be happier in his home with MeMe and her family. He even calls her parents “Grandma” and “Grandpa” sometimes. In the mornings before she leaves for work and he for his day program, he’ll watch the weather forecast and advise MeMe on what to wear that day, and in the evenings, he’ll update her on news around the world.